A father-of-three has been jailed after a gang of thieves travelled from Leeds to Brighouse to steal valuable plant machinery from a construction site. Johnathon McCormack, 31, agreed to drive the stolen Ford Transit van used by the gang in the raid last month, but today (Monday) he was locked up for two years following a police pursuit around streets in Brighouse. Bradford Crown Court heard that a security guard alerted the police after he saw the van and a Renault car drive towards the site on River Street. Prosecutor Joanne Shepherd said the guard heard the sound of plant machinery being started and a road roller was driven into the rear of the van. 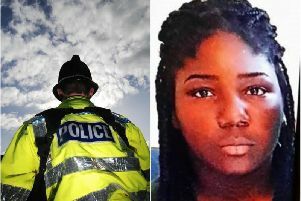 She said two police officers in a vehicle responded to the call and became involved in the pursuit of the van which reached speeds of between 40 and 50mph as McCormack tried to get away. The cout heard that at one point the officers tried to block the road with their vehicle, but the van was driven onto the footpath to get round. On Toothill Bank the van had black smoke coming from its exhaust as it struggled to get up the steep hill and Miss Shepherd said the van also struck a boundary wall as it headed towards the Bridge public house. When the van finally stopped McCormack was chased by one of the officers and he eventually gave himself up. At a hearing before Calderdale magistrates McCormack, of Crossheath Grove, Leeds, pleaded guilty to stealing the road roller, dangerous driving and driving while disqualified. The crown court heard that he had previous convictions for dishonesty and driving while disqualified and today/yesterday the Recorder of Bradford Judge Roger Thomas QC said the theft from the site on March 21 “smacked of professional crime”. He said the van had been stolen the month before, it was on false plates and those involved had travelled from Leeds to Brighouse to steal the road roller. The court heard that McCormack had had problems with alcohol and a lack of work and he said he had been offered £50 to drive the van that evening. Judge Thomas jailed McCormack for 18 months for the theft offence, but added a further six months for the motoring offences. He also banned McCormack from driving for a further 18 months and said he would have to pass an extended re-test before he could lawfully drive again.